Sounds kind of weird, huh? But oh my, they taste gooood! 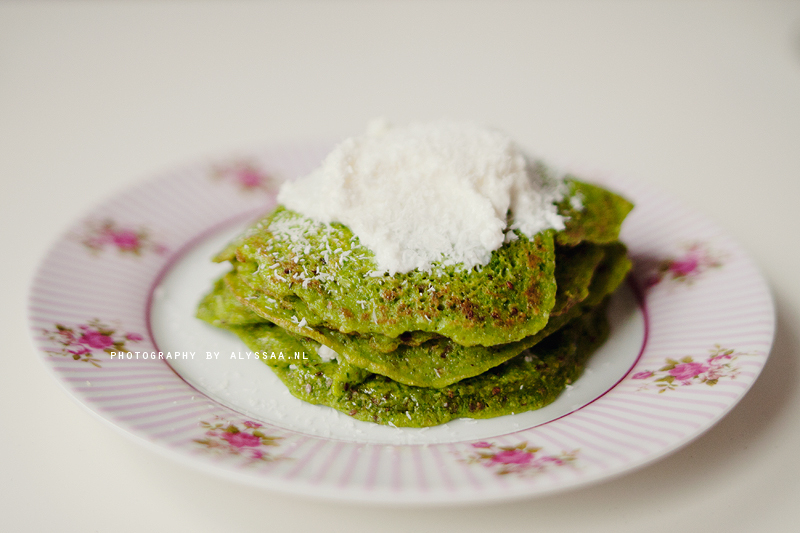 If you love anything healthy, green and shaped like a pancake, you should definitely try this recipe! 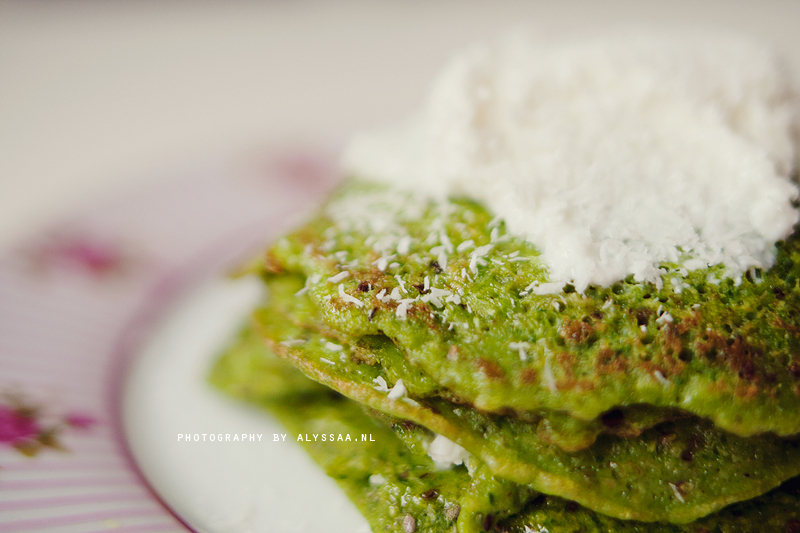 It’s as simple as that… and as making them ;) Scroll for the recipe! I also put a layer of “frosting” on each pancake and op top of the stack. 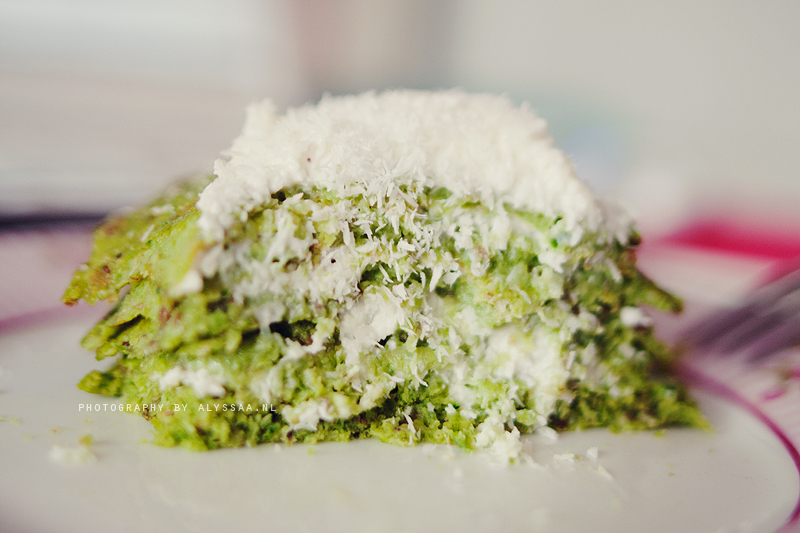 I made that frosting by mixing Greek yoghurt, sweetener and shredded coconut together. 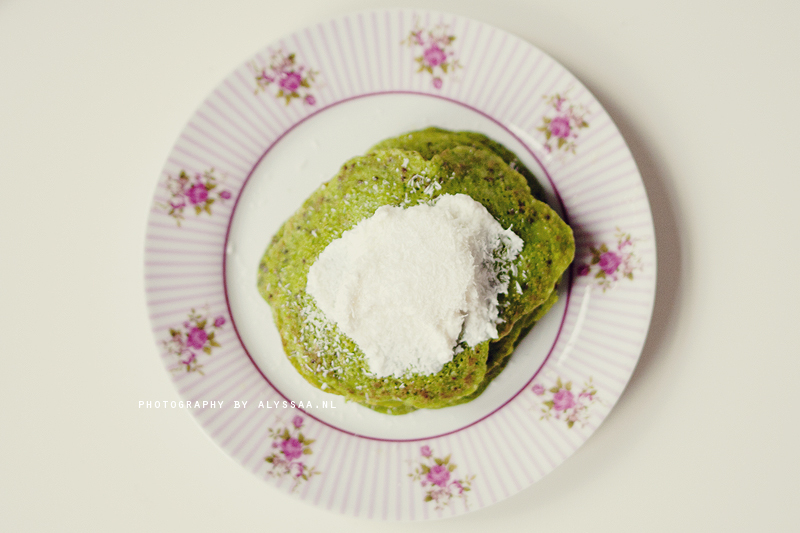 Adding that to the pancakes equals even better & sweeter green pancakes. Yum!